Keeping Up With The Souths: He LIVES. When I was growing up Easter was a big deal. Sure the Easter Bunny came and brought us goodies but we ALWAYS went to church on Easter. We also almost always got a new dress or outfit to wear & most Easters we spent at my Grandma and Grandpa Hartley's. 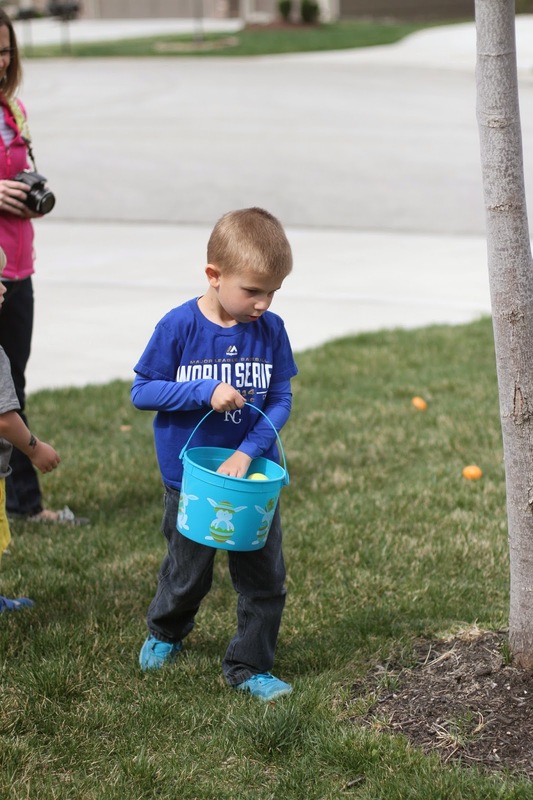 I can remember finding Easter eggs and then sitting on their "grass" green carpet covered front porch on their little white bench opening up each egg. They were always filled with money or candy or maybe if we were lucky both. Sure, I knew the meaning of celebrating Easter, our Savior, Jesus Christ had risen but I know for a fact that it has never really had the affect that it has on me now. I am sure that is partly because I am older and I would hope wiser but I also believe it's because of a dedicated choice that Justin and I have started making. For a little over a year now we have been faithfully attending church services. Now, don't get me wrong, I don't think you have to attend church to be a believer in Jesus Christ but for me, it wasn't until we started faithfully attending that I started to talk, to listen for HIM throughout the day. Since last year, my relationship with HIM has grown leaps and bounds. I've learned to let go (of some things) and just turn it over to him. I learned to seek HIS guidance in times of trial & in joy. Most importantly, Justin and I have started not only building our foundation with HIM but our boys foundations too. 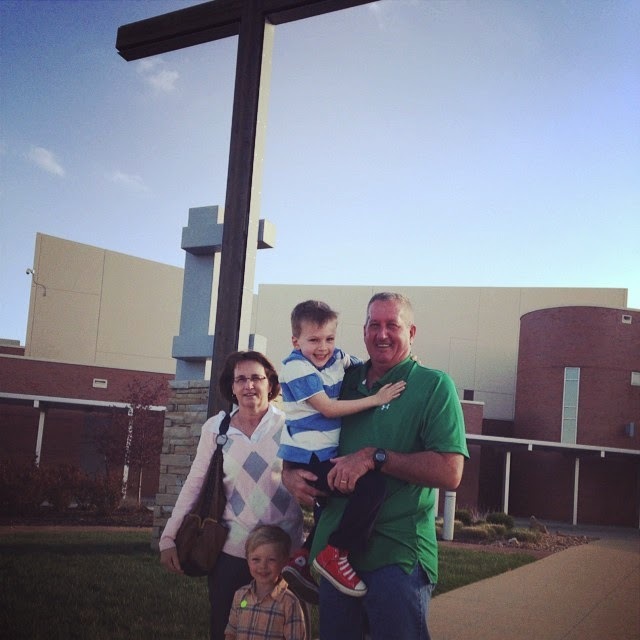 We have found a home at Westside Family Church & we are All In. & Easter 2015 was no exception. Like most worship centers, additional service times were added to the calendar to accommodate the influx of guests & we, the congregation, was asked that if possible if we could choose one of the less busy times--we chose 5:00 on Good Friday. This had been the second year in a row that we attended on Good Friday but the first year that my Mom and Dad would be attending with us. We were all eager for them to join us as we always join them when visiting. We were excited to show them where we found a home at. The service did not disappoint---it hardly does. & the boys came out of their classrooms cheering at the top of their lungs---HE'S ALIVE. & even had a little cheer to go along with it. We decided that since my parents were in town and Justin's birthday was the day before that we would go out for dinner and headed to one of our favorite places, ASA, a Japanese steak house. On Saturday we did a looking egg decorating & started prepping for our Sunday Brunch at the house. 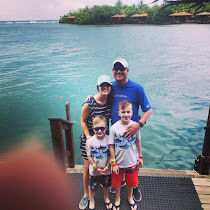 We were fortunate to have Justin's Uncle Charlie and Aunt Barb come in from Columbia to join us, as well as his Cousin Jeff and his wife Jenny who recently moved back to KC. 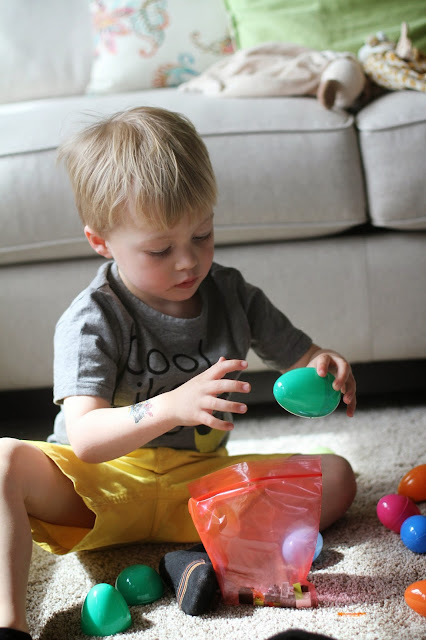 The boys were so eager to do their egg hunt but first they had to eat their brunch & surprisingly, they all dug right in---okay, probably not so surprising since they knew what awaited them once they were done. 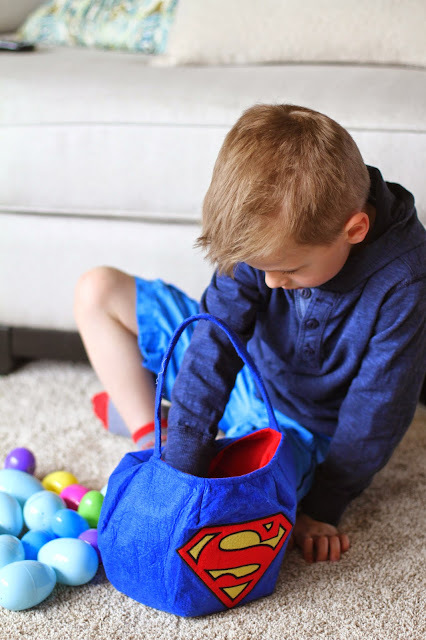 This year we the Easter Bunny did things a little different--EB knows that this mom is not all that fond of candy. EB sent along two sizes of eggs for us to hide. 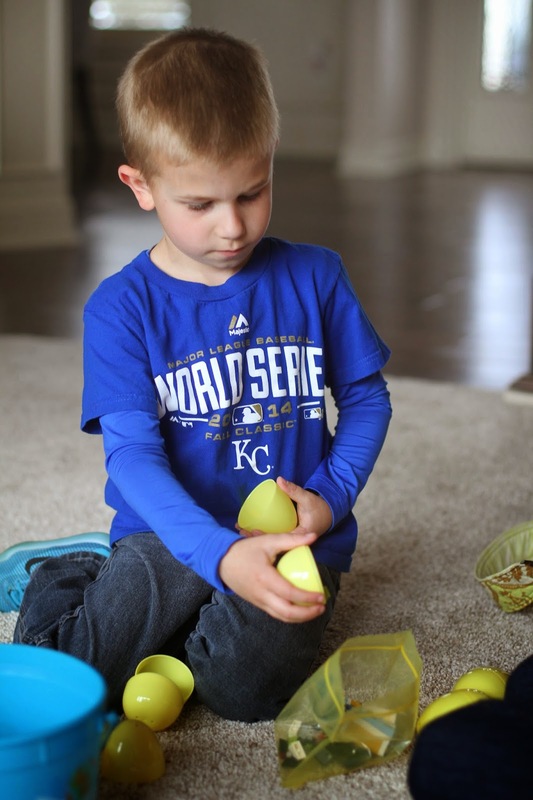 The large eggs were in three colors---Yellow, Green, and Blue---each of the boys were assigned a color and could only pick up large eggs in their specific color, the small eggs were fair game for anyone. Each of the large eggs were filled with ONE Lego Mixel. The instructions were in one egg and each of the other 8 eggs had pieces to the set---once they found all their eggs they were able to build their new Mixel. Honestly, this was a bigger hit than candy which is a win all in itself. EB had also brought a few other small things for the boys and for Kaden the kites took home the top gift award. The kid loved flying his kite that afternoon and caught on a lot quicker than I had expected. Logan was a little disappointed as we couldn't keep his kite up in the air as long, or as high, as Kaden's but he didn't stay disappointed for too long as he quickly moved on to the Nerf guns. And although the gifts from EB were nice, we all, boys included, enjoyed being with family the most. After all, it's because of HIM that we are even able to gather together and celebrate life--HIS life which in turn gave us LIFE. It's because of HIM and the sacrifice HE made that we get to claim these two ornery boys ours. HE has blessed us in so many wonderful ways and although Easter is a wonderful time to remember HIS sacrifice but it's not the only day that we thank about it. We think about it every day when we see our boys.